I’ve done lots of things, none of which I want to bore you with right now. Writing a biog is dry & dull, so I’m going to give you the chance to help me compile it. We’ve all got things we’re ashamed of, but if you want those things showing up as part of my history for all the little aliens to poke through when they land, I’m fine with that. For your reference, this is the pose I’m intending to use when they do land. First of all, to get you going, yes. I was in the video for Tequila by Terrorvision. QUESTION: Did you interview Bon Jovi once & get him to kiss you at the end saying “everyone does it” ? ANSWER: No, but I did it to Kylie during an MTV gig I was hosting. QUESTION: Is that sock dry yet? Did i get the scrambled egg off the saucepan? ANSWER: These are still very much on going questions I ask myself every single day. QUESTION: Is Sean’s Show available? ANSWER: The first series is available on dvd and on 4od, the second can be found on the site here. QUESTION: Do you remember me when you nursed in Barnsley as you looked after me? QUESTION: Why did you stop touring after ‘Alibis for Life’? ANSWER: I ran out of things to say and wanted to write books. QUESTION: Why do you support Crystal Palace? ANSWER: Because they are by far the greatest team the world has ever seen. QUESTION: Did you enjoy your acting role in Miss Marple? ANSWER: I enjoyed growing a moustache. QUESTION: What was your charactor Pat’s job in Coronation Street? 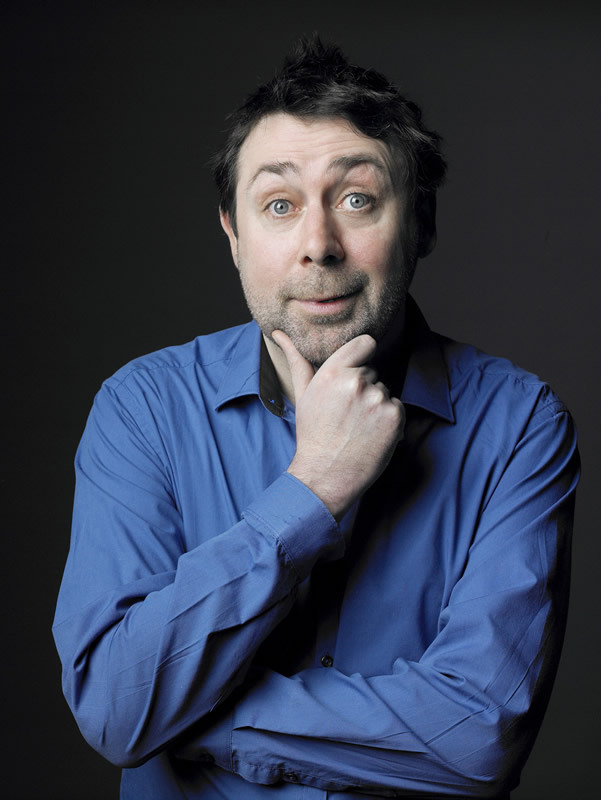 Sean Hughes was born on 10th November 1965. Two series of Sean’s show were aired on channel four in the 90’s. It was nominated for a comedy award but got beaten by Desmond’s. Appeared in the music video for Tequila by Terrorvision. Once kissed Kylie Minogue on MTV. I support Crystal Palace and tend to believe what people chant at matches. There seems to be a lot of Specsaver reps at games. I stopped touring for 7 years as I ran out of things to say and wanted to write books. This led to very awkward moments in shops as I mimed shopping lists. I appeared in ‘They Do It With Mirrors’ A Miss Marple Mystery, in 2002. I appeared in a 3 parter for Channel 5 called ‘So You Think You Can Nurse‘ in the early 2000’s. It seems all the patients in my care survived. I appeared in Coronation Street for a couple of months playing Pat the womanizing travelling salesman. They never told me what it was he sold but i assume it was small stuff as i was never even given as much as a bag. Viagra would be my guess. Sean Hughes passed away on the 16th October 2017. He was 51 years old.